We offer classes for every level. Flow and Cardio Strength Lab classes are first come, first served. HIIT classes are pre-register. You may register on the website or via the Mindbody app. Please arrive 10-15 minutes early to get set up. 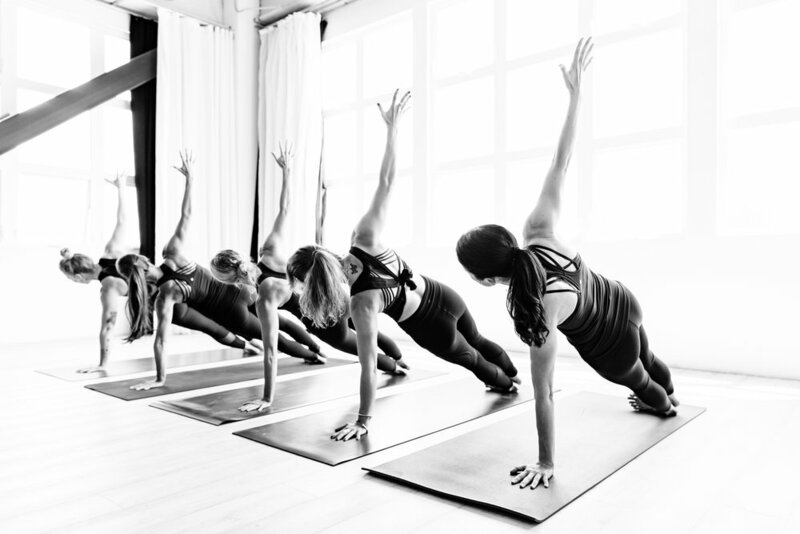 Heated power vinyasa yoga classes with a focus on alignment, breath, fluidity, strength and endurance. Open to all levels of students but geared toward the intermediate to advanced practitioner. Taught in a heated and humidified room. 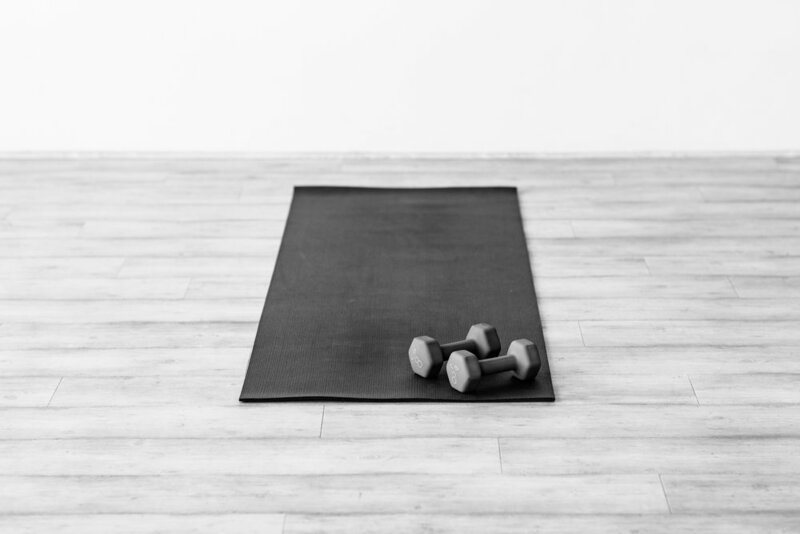 A vinyasa inspired class with the addition of dumbbells. Get ready for a heart pumping full body workout with the use of weights paired with cardio and plyometric drills. These classes are intense so be prepared to work. Taught in a gently heated room. 40 second intervals, 20 seconds rest. A combination of strength, cardio and plyometrics with the use of TRX, Bosu, slam balls, dumbbells, resistance bands and jump ropes. Non-heated. Clean indoor tennis shoes required.